I used to be a huge fan of takeaway Chinese food. Lately, though, I have not enjoyed it as much as I used to. I don’t know if it is that I ate a lot of it, or whether it really is just not that good. The sauces seem too thick and rich tasting for my tastes now. But Chinese food at home is another story. I make it all the time and love it. 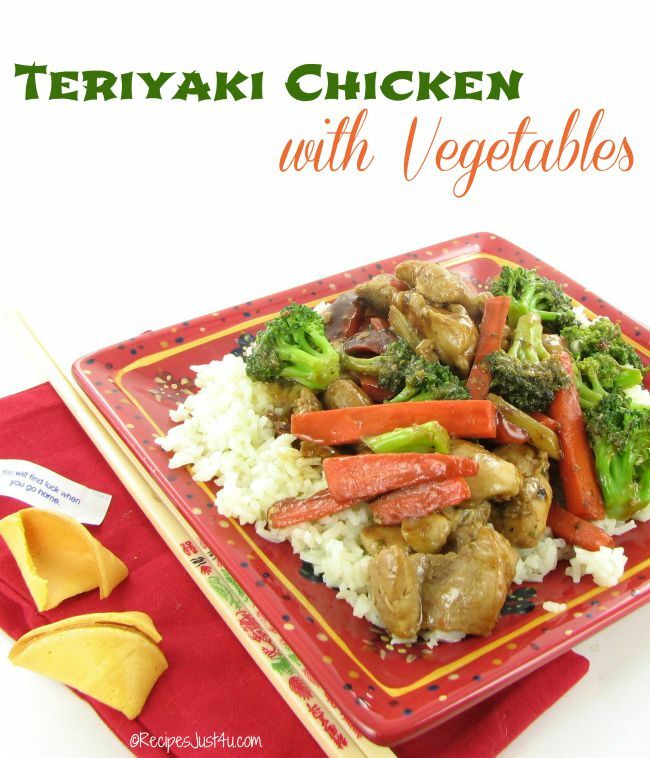 This Teriyaki chicken with vegetables is one of those dished that I love to make at home. It’s one of my favorite 30 minute meals! This tasty dish is one of my favorite one pot meals. Everything comes together in one pan to give great layers of flavor to the recipe. It’s Chinese Takeaway at home with this Teriyaki Chicken Recipe. 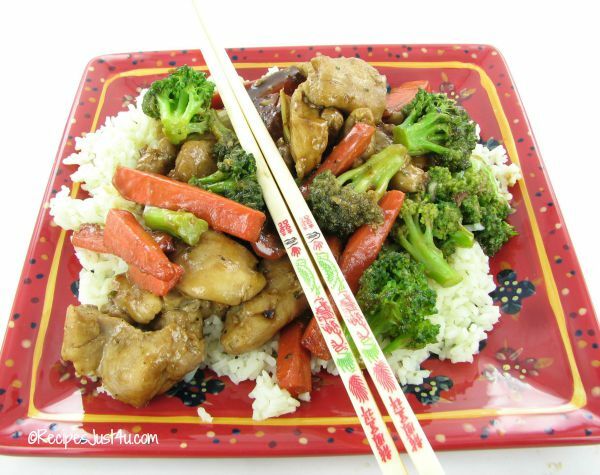 Like most Chinese stir fries, this is an easy dish to prepare. It is perfect for a busy week night, when time is at a premium. 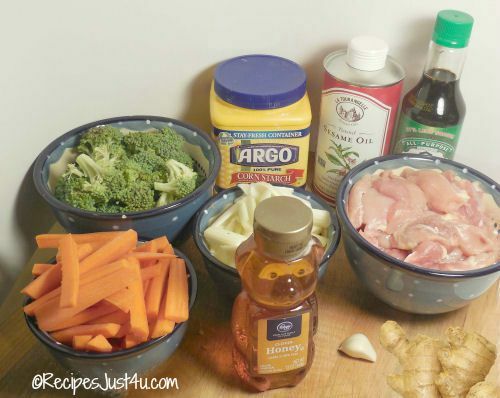 The first step is to cook your chicken, celery, and carrots in toasted sesame oilover a medium high heat until the chicken is no longer pink and the veggies are almost tender. While they are cooking, add the broccoli to the microwave and cook a couple of minutes until it is just starting to get tender. Now add the broccoli to the chicken and veggies and stir in the teriyaki sauce. Cook until the sauce starts to thicken and everything is well incorporated. 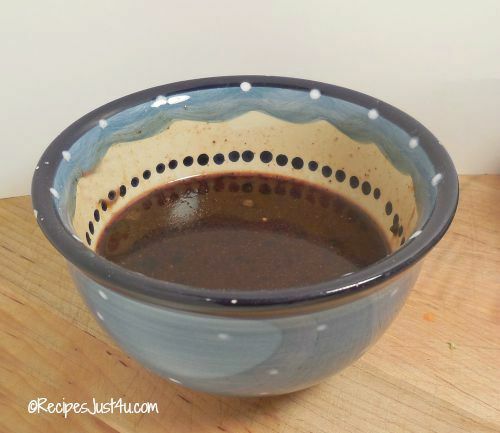 The recipe is great on its on, but if you want to make it more hearty, pour the mixture over some cooked rice or noodles. I like using my chopsticks, until I just can’t manage them any more. Enjoy! 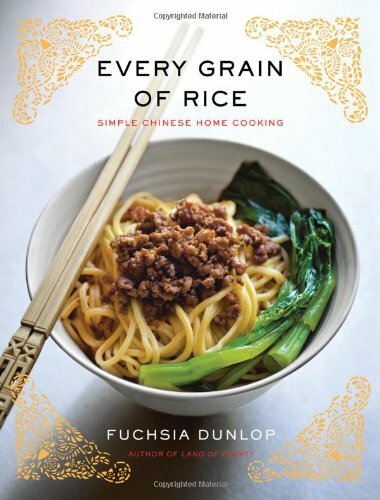 If you love Chinese cooking at home, you might want to try this book from Amazon – Every Grain of Rice: Simple Chinese Cooking. For a super clean eating recipe, check out this teriyaki beef stir fry. It’s gluten free and Paleo. In a large skillet, over medium to high heat, add the olive oil. 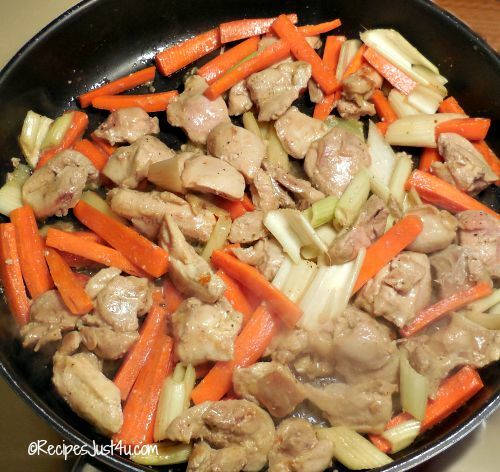 Stir in the chicken, celery and carrots and cook stirring occasionally until the chicken is no longer pink and the carrots and celery are almost tender, about 6-8 minutes. Add the garlic and cook another minute. 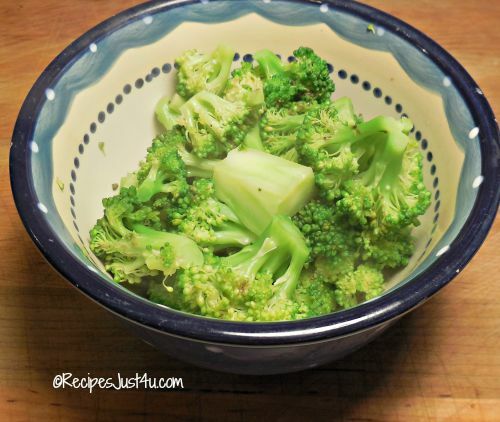 While the chicken is cooking, cook the broccoli florets for about 2 minutes until it is just tender. 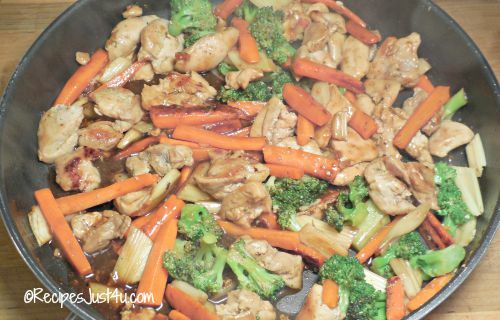 Add the Teriyaki sauce to the chicken and carrots and stir for about 1-2 minutes or until it begins thickens. Turn heat off and add the broccolig. Stir to combine. Serve on it's own or over rice or noodles.